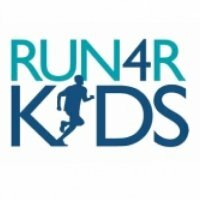 Run4RKids is held on January 9, 2016, 9:00 a.m. – 5:00 p.m., proceeds are donated to Hope and Happiness Wellness Services – a Not-For-profit that provides programs and services to benefit those suffering from trauma, grief, addiction and other distressing situations. 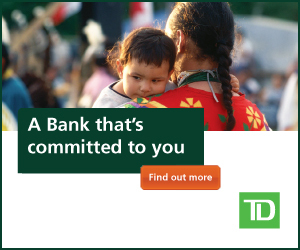 The focus for this year’s event is to bring awareness and raise funds to deal with these issues in First Nation Communities all across Canada. January 9, 2016 – Hope and Happiness Wellness Services hosts its flagship event at the York University Track and Field Centre. Hope and Happiness Wellness Services is dedicated to supporting people recovering from trauma, grief, and addiction providing the opportunity to live the quality of life that they want. The Run4RKids fundraiser event’s goal is to raise funds so that unconventional and tailor made programs that are related to wellness and have a profound healing effect can be offered to those who are living with immeasurable grief and pain in their lives; for those who need a place to turn for trust, safety, acceptance and unconditional love. Hope and Happiness Wellness Services came into existence on October 6th of this year, opening its first grief and addiction center in Toronto and then on November 4th its second center in Costa Rica. OUR MISSION: The mission of Hope and Happiness Wellness Services is to support addicts, their family members and loved ones with the grief and trauma associated with and not limited to addiction. Interrupting addiction and co-dependent patterns of any and all kinds. Using both traditional and unconventional programs with a proven record of success. We also provide individual counseling in a safe, non-institutional, compassionate, comfortable, warm and relaxing environment with serenity. “We cannot heal without a strong and healthy community,” said Sameena Fernandes, the founder of Hope and Happiness Wellness Services. “It is our innate human desire to experience unconditional love and acceptance from our communities in order to heal and that means we cannot heal alone” – This is what Hope and Happiness Wellness Services stands for. More information can be found at http://www.hopeandhappiness.tv/.